I was just wondering that when in real life miracles never come that often, how come we get to know about a new miracle beauty product or anti aging potion by cosmetic and skin care companies month after month and sometimes times even, day after day? Isn’t this strange and ridiculous? 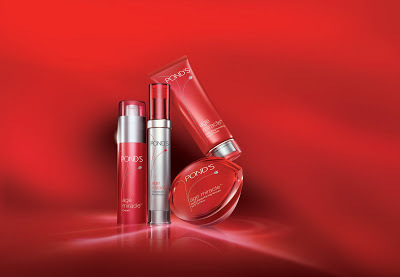 When each time a new anti aging product is launched and hailed as the best and most effective product under the said category, it gets my curiosity conjuring. Although, I have a fairly decent skin with no visible sign of damage or wrinkle, the idea to turn back the clock and restore a youthful glow always fascinates me. And this gets me into buying that new magical potion come what price it may. And lets admit, we’ve all been there: given in to those pledges and claims of radiant and flawless skin that comes for a huge price but fails to deliver even half of its worthy price. As consumers, we must be cautious of the products we pick and buy, not only, because they will be a waste of money, if they don’t turn out to be effective but certain skin care creams and potions can rather cause more harm than good to our skin. Speaking to dermatologists and skin care specialists at Kaya Skin Clinic, Ludhiana, one of India’s leading skin care clinic branch and doing a research of my own, I came to a conclusion that overnight creams and anti aging creams really do work but you have to look for the right active ingredients in the skin care creams to improve your skin’s appearance. The product tops the list when it comes to finding the best over the counter anti wrinkle creams in India. Despite, having a relatively low retinol content, not only has this product bagged great reviews from skin care fanatics and dermatologists alike but has actually found to improve skin texture with regular use. Forget all that hype about the newly launched and highly expensive ‘Youth Code’ range from Loreal. RevitaLift range with retinyl palmitate as the active ingredient still holds a better promise for skin rejuvenation and transformation. 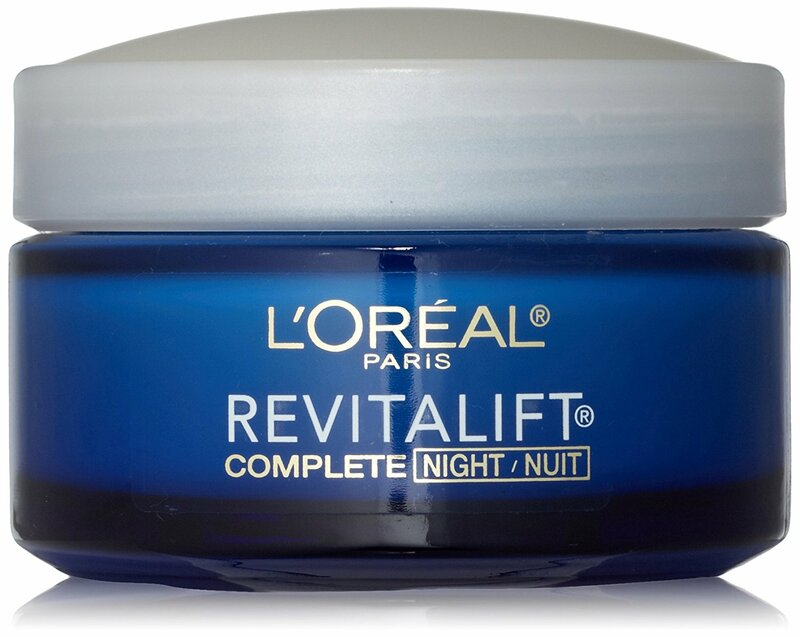 And if you have to choose one from the range, I would suggest, you go with L’oreal Paris revitalift advanced repair night cream as it is not only reasonably priced but also contains retinol in nanoparticle form for better absorption and benefits. With Hyaluronic acid, Peptides, Niacinamide, Green Tea extract and powerful vitamins and antioxidants, this micro sculpting cream from Olay too comes out fair on its promise of firming and smoothing skin. So the next time you see Madhuri Dixit in the ad, you can actually believe the secret of her stunning looks is actually in the cream she applies on her face. Jokes apart, the cream does performs its job well of treating sagging skin. This being a prescription retinol product can only be bought from a pharmacy store. Although, highly effective anti aging product, this cream does not contain any of the fancy anti aging ingredients other than pure retinol. The cream comes in tube packaging like other prescription skin creams and is one of the first retinol products of the country. Containing retinol and glycolic acid in its ingredient list, this is definitely one of the most readily available, travel friendly, and reasonable anti aging product in the market. But be sure you pick the serum over the night cream for powerful retinol benefits. Very nice information. I was looking for such a thing. I remember my grandmother using Ponds and Olay when I was little. And she was always the youngest looking “grandmother” around:) I love these products even to this day! Yes now I and my family use this product.When they use ponds and my other product.But now all of person of our family use this item. Thanks a lot for sharing this article & product. Hi, Could you please recommend a pure Niacinamide cream or lotion available in India? Ideally, fragrance free. Hi Morika, currently there’s no pure Niacinamide product available in India. But you can definitely find fragrance free products with Niacinamide as an active ingredient in India. I’m quite surprised to see none of the Oriflame’s anti-aging product listed here. Well, when it comes to anti-aging cream I swear by only my Diamond Cellular Anti-Ageing Cream. I’ve been using this from a long time and I can definitively see the change in my skin, now it looks more radiant and glowing. Apart from the product, I drink lots of water and eat healthy. This is key to a healthy skin. Hello Priya. Have used oriflame products. But found them to be just average. Not worth the expensive price. But have found their makeup range to be great. On the contrary have found products from brands like Olay and Loreal to give much better results at a much affordable price. i have started using olay regenerist micro sculpting cream since about 4/5 days, but it made my face break out in pimples. I am 44 and have combination skin. Hello Aadani. Can you please elaborate your query. Im not sure what exactly are you looking at. I was basically looking for a good anti aging night cream for mature skin. I also have pigmentation problem. A friend recommended Forest Essentials Saundarya radiance serum. What would you suggest? When looking for an anti aging cream please don’t expect miracles as no product can give you dramatically younger skin. Yes, there are some ingredients that superficially improve the look and texture of your skin. I have already mentioned about these proven scientic ingredients in the post above. Forest Essentials is a very good Indian organic products brand based on ancient ayurvedic recipes to improve skin. The serum does contain some potent anti oxidants that help in the hydration, repair, lightening of the skin. However some of these ingredients are also comedogenic, which can cause problems for oily and acne prone skin. You can go for it, only if you have dry to normal skin. Thanks.Your post is really helpful. Glad you found it useful Pranita. Hi, I m 39 nd my face skin has bcm very dry, dull nd m noticing saggs on my cheels 🙁 . This hs been noticeable since sm months frm nw. M so sad to see my face in such a condition so early fr my age. Could u plz suggest me the best day nd night creams.. or serums what it may tk to help my skin bcm glowy nd taut . Right nw m on Artistry’s CTM. Kindly help. Hi Samira, for naturally youthful and bright skin, the glow should come inside. Your lifestyle and eating habits play an as important role as using the right products. Up your water intake and eat plenty of Vitamin C, E, A and protein rich foods for greater skin elasticity, firmness, and luminosity. Use Auriga’s Flavo C serum for brightening dull complexion, Auriga’s Flavonex cream for firming loose, slack skin around cheeks, face, and neck and Ega cream by Curatio for any fine lines, wrinkles, crow’s feet and dark circles. All the best! Hi Anshulika, Thanks for all the useful suggestions. What cream would you suggest for pigmentation caused by pimples/Acne? I do use Ega but is there any other product in addition to this you suggest? Thanks. Hi SK. You can use Demelan cream daily in the evening on pigmented areas after washing your face. Keep it on for two hours and then rinse your face with plain water and apply Ega cream as night cream. Thank you! This has definitely worked for me. Thanks a lot…. u opened my eyes to the right solutions…vil surely tk up to all that u hv suggested :)…. what about a derma roller? Can I use it with all these creams? I’ve read a lot about it having teally good results for skin related prblems. Need ur kind advice on this. Yes, you can use dermaroller along with these creams. It will only increase the effectiveness of these treatment creams but make sure you use it the right way and don’t injure yourself in the process. You can either check out some online tutorials or consult a dermatologist for correct way of using it. I am a 32 year working woman. i have a oily skin with acne every now and then. All this make my face look very pale by afternoon. I want to know a anti-aging cream that will suit me. Also suggest a under eye cream as I have dark circles since a decade. 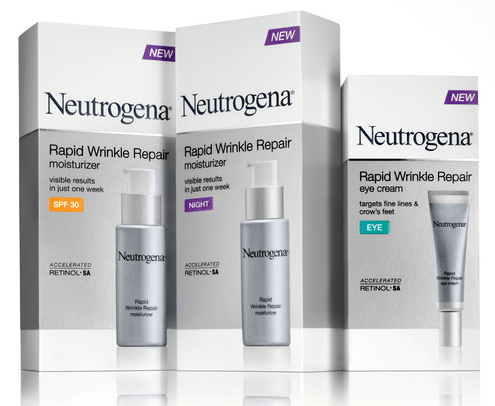 You can use Neutrogena’s Rapid Wrinkle Repair Moisturizer for your face in the day time under your regular sunscreen. This cream is very light in texture and leaves a matte finish. With retinol as its key ingredient, it definitely improves the look of both wrinkles and pimples overtime. As for the dark circles under your eyes, you can use ‘Lighten and Smooth Under Eye Gel’ from Kaya Skin Clinic. Ahan…thanks for your opinion. Will definitely check out if it’s available in India. Hi can you also make a list of best skin lightening / brightening products just like this list. This list is very helpful indeed. Hi Sharmi. Thanks for appreciating the post. We shall soon come up with list of best skin lightening product range in the market. Please stay connected. Please make a list of best skin lightening / brightening creams in India which are Hydroquinone and bleaching agents free. Thank you. Wat is d best time to start anti aging product…..
Hello Gagnika. The best age is after 30 years. Hello Dear. You can either buy it online or at any of the Neutrogena outlet from Mall. Can u suggest night cream for the women in 50s? Hello Dear. 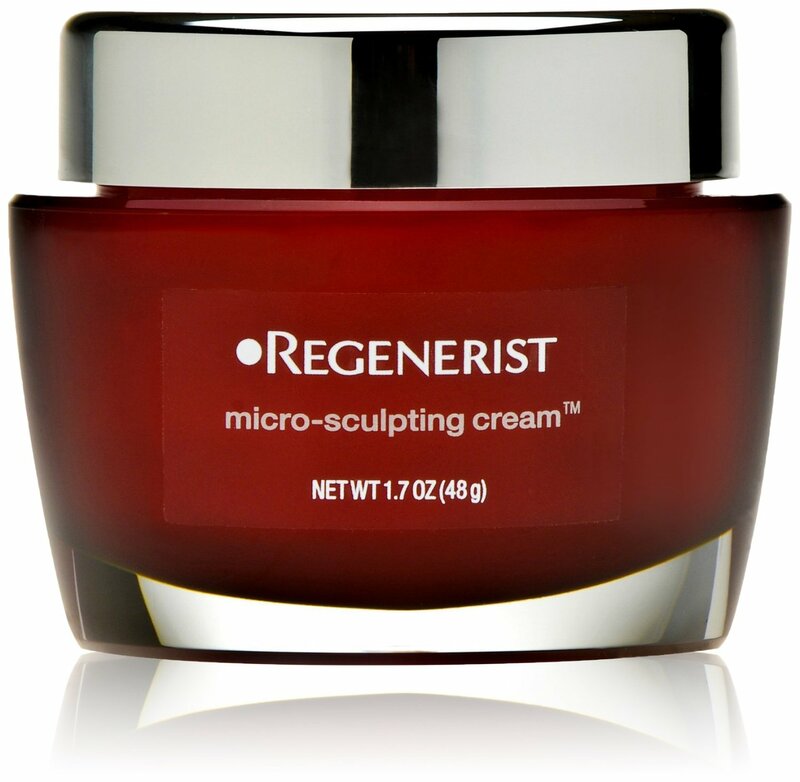 You can use Olay REGENERIST Micro Sculpting Serum. Hi, Anshulika. … I’m 35, & have super oily skin with enlarged pores. & some pitted scars of pimple & acne on face. Can u pls suggest any effective night cream or serum for me. Hello Moksha. Use Ega Cream by curatio pharma. You can get it at any medical shop. I am 25 year old . 4 months back i got chemical peel(yellow peel) due to which some enlarged pores have occurred which i never had before. Should i use Ega cream for this problem. Ega is an anti aging cream for wrinkles and fine lines. It is not meant for enlarged pores. Since your enlarged pores have developed as a reaction to the chemical peel, you should consult a derm to suggest you some healing ointment or cream. You can even use Nilac gel after cleansing your face to sooth your skin and pores. Hi Himani. Use BHA based cleanser along with Kaya nourishing night cream in the night and keep your skin protected from sun and pollution during the day with some good day cream like Olay Total Effects. hai mam I’m 33 yes old.having oily skin..and little amount of pimples…need clear skin…suggest me right anti ageing cream plz..
Hi Nalini. Use salicylic acid based face wash in the night. And use Kaya Skin Clinic purifying moisturizer in the night. Hi Keerthana. You should not use too many products if you have sensitive skin. Use a BHA based cleanser. Kaya Skin Clinic purifying range offers a good one. Use Nilac gel in the day time to soothe your pores and skin. Ega cream is a great combination of Vitamin K and retinol best anti-ageing ingredients for fine lines, wrinkles, and dark circles. Hi Keerthana. For acne scars, you cannot get much help from Ega cream. Treatment depends on the depth of your scars from exfoliating creams you can use at home to procedures at dermatologist office. Nilac gel contains antibiotic clindamycin and vitamin B supplement Niacinnamide for soothing acne prone inflammed skin. You can skip this ointment if you no longer have active acne. Avarta under eye cream by Dr. Reddys is a good one for both dark circles and dryness. Hi Keerthana. I would suggest you to consult a dermatologist for an in-office treatment. Fractional laser and micro dermabrasion are both helpful for large pores. Saslic DS and Neutrogena Oil free Acne wash are two great cleansers with 2% salicylic acid for large pores and acne prone skin. Vichy normaderm range and kaya acne purifying range are also good options for day skincare. I would not recommend lighteners until your skin is healed. You can however continue to use Ega cream in the night for wrinkles and other blemishes. Suncote gel is safe for sensitive skin. The skin around your lips can become dark due to dryness and inflammation. Stop licking your lips or rubbing your skin around the region. Always use a good quality lip balm with spf for your lips. For dark skin and dryness around your lips, keep the area always moisturized and protected from the sun. Use vitamin c serum for brightness. While searching online I came across Curatio website. The products seemed quite interesting. I have oily and acne prone skin which leave back acne scars. I have slight pigmentation around my lips and forehead. Luckily my skin is not sensitive to products. I am 29 years old. I wanted to know whether it is alright to mix Demelan with Ega cream? Can I apply this combination after cleansing and toning? If yes, can I apply my regular serum and moisturiser on it? I will also like to know if it’s safe to mix Ban a Tan, Kojic Cream and Tri o Bloc of Curatia and alternate it with Demelan and Ega? Hi Madhura. Demelan contains Glycolic acid and Ega cream contains retinol. And it is not recommended to mix the two. However, you can alternate the two in your night care regimen. You can use demelan for the first three days and ega for the next three days, giving one night break to your skin from exfoliators. Similarly you can alterate between ban a tan and kojic cream. If you are using Demelan, no need to use tri o bloc. However, while using such strong acid based products, do make sure you are wearing a high protection suunscreen without fail. Hi Junoo. You can use Olay Regenerist Sculpting Serum. hi anshulika,i landed here while searching for anti aging cream reviews.first let me appreciate for your work to answer all the queries. coming to my issue,my neck is dark compared to face,can you suggest me wat to do.also i have very dry hands and feet,please help me,thank you. Hi Priya. Thanks for your appreciation…it made my day! Neck, hands and feet are often the most neglected areas of skincare. Often neck gets darker due to accumulation of dirt and dead skin cells. Exfoliate your neck daily with an AHA based product in the night and apply sunscreen relegiously in the daytime. You can also use a good quality facial cleansing brush for your face and neck. As for your hands and feet, you can use urea based product or a rich emollient. Palmer’s cocoa butter products are also great for dry skin concerns. Else you can also use Neutrogena’s Norweigian formula hand cream for hands and Kaya Skin Clinic’s foot cream for feet. Please suggest some effective anti aging products for my mom. She is around 45 and has never applied any cosmetic/skin care products except for a very few such as a winter cream. She has a very sensitive skin which is more dry. She has depigmentation/dark spots on her forehead and near the jawline. She also has wrinkles and visible age lines around the eyes and mouth. Her skin is very sensitive which makes it very difficult for her to apply any cosmetic products since most of them are comedogenic. Please help. Thanks. Hi Tarun. Your mom can use Auriga Flavo-C serum both in the morning and night before moisturization and after cleansing. She can use Vichy Sunscreen in the day time and Ega cream in the night over Vit C serum. Thank you so much for the quick response. I will definitely ask to my mom to use these products. Thanks a lot for the help. I really appreciate your work. You welcome Tarun. Thanks a ton for appreciating. I am 34 years old.I have wrinkles around my eyes and fine lines around my mouth. Currently i am using melaglow as suggested by a dermatologist.Pls help me with a routine skin care and best antiagening cream as well. Hi Sara. Ega cream with its retinol and vitamin K content is one of the best formulas for anti ageing. Use it in the night after your regular cleansing and toning routine. If are using melaglow make sure you use a good sunscreen with high spf. Avene and Vichy are good choices. For wrinkles and dark circles around eyes, you can use Avarta eye cream. Try taking a glass of lemon + honey water with a teaspoon of flaxeed every morning before breakfast for overall cleansing, rejuvenation and well-being. Thanks a ton for the reply.Can i use melaglow along with ega cream? Hi Sara. Its not suggested to use both the creams together! hiii there. dear can u plz suggest where i can get this ega cream?? n how does it looks like?? is it easily available at any pharmacies? ? I live in hyd. Hi Mazo, Ega cream should be availaable at all pharmacies. In case, you fail to get it at your nearest one, you can try it from a pharmacy beside dermatologist office. Hi, i am Palak and 30 yrs old, my skin is normal with oily t zones..it sometimes gets dry around the mouth depending on the weather.. i have large pores around my nose and under eye area.. since i have hit my 30s i am currently looking for a nice anti-ageing cream for preventative measures.. i currently use olay moisture cream during the day and kiehls midnight recovery serum along with same olay cream during night..i am not sure about what night cream to use with it… can you please suggest some good anti ageing cream and also a good eye cream for my skin type and age..
Kiehl’s midnight recovery serum is a wonderful night treatment for your late 20s and early 30s. You can also use Ega cream by Curatio pharma in the night. This will address your finelines, large pores, and combination skin problems. But you need to be patient, the cream starts to give results after a few months of regular use. Since it contains retinol, you may intially experience your skin gettin worse but after a week or two your skin should adjust. As for your eye area, you can use Avarta eye cream. Good luck. what should I use for mu acne scars can you plz suggest? ?? I’m 26yr old n I’ve pigmented sensitive skin so worried a bit to use ne new cream. I am 26 yrs old. due to my skin condition i look older then my age. i have pimple spots n feels my skin is aging. can i start using anti agieng cream. if not can you please suggest some night creams . Hi Momi…Your skin should look its best in 20s, if not, there must be some lifestyle factors to be blamed. Anti aging creams is not the answer for beautiful skin. You should work internally for a youthful glow. Drink lots of water, eat an apple daily, exercise and meditate for naturally younger looking skin. As for a good night cream, you can try Kaya nourishing night cream for bright and supple skin. Good luck! 3.LactoClin O, is a cleansing lotion. 4. Vitamin C and E tablets. I believe my hiperpigmentation and dark circle needs retinols because it penetrates deepest layers of skin and produces collagen. Can you suggest some retinol based creams which can cure my both the problems? And I have a very dry skin. No treatment shows overnight results. You need to be patient with your prescribed products. Along with your dermatologist prescription, you can make some lifestyle changes to speed up the process. Drink one glass of lemon + honey water daily in the morning, use high spf from good brands like Avene or Vichy daily on going out, drink juice of 2 oranges, 1 apple, 1 beet, and 2 carrots daily. You can also take SkinVit, multi-vitamin and mineral tablet daily along with your vit C and E and use Ega cream in the night. Its one of the best and safest combinations of retinol and Vitamin K for most skin issues. I have pigmentation on forehead due to sun burn , but it happened years ago still not cured. And my skin around eyes is very thin and hollow, I wish I could make it thicker. Please suggest. Drink carot juice and use Ega cream in the night. Thanks. I also recently found out that Alpha Lipoic acid does wonders to skin. Its told that its better than Vitamin C and E put together, a powerful antioxidant, anti aging solution, better than AHA. Is it better than retinol? Yes Minita. ALA is one of the most powerful antioxidants and as per theory it should be useful for anti aging skin care. No wonder ALA products are recieving great media coverage these days but its effectiveness as a powerful anti aging ingredient in premium anti aging products has yet to be proven. Unlike retinol which is a proven anti aging ingredient. Wish u happy Diwali. Hi Keerthana. You have heard it right, there’s not much to be gained from taking whole flaxseeds as they pass through your body undigested. To obtain maximum benefit from flaxseeds, they should be consumed fresh in ground form. Since you don’t have access to a fridge, you can grind them in small batches of upto a week’s supply and store them in an air-tight container. Take them with curd, yogurt, or lemon juice for added detox benefit. Hi Manjula. Ideally you should not use both together. Since both creams are heavy, and it can cause Acne. Hi Keerthana. Auriga Flavo C is better than Dr. Reddy’s Strea C. And Ega cream offers a combination of retinol and Vitamin K, which is a very good combination to thicken skin, build collagen and fight blemishes. However, Reddy’s Strea A15 capsules contain pure retinol in high concentration. Also, since the retinol comes encapsulated in Strea A15, it eliminates any chances for contamination, oxidation or overusage of the product. If you are looking for a pure retinol product, you should for Strea A15. Yes, you can apply ega cream with Vitamin C, no harm in that but I would suggest you to use Vit c serum in the daytime and ega cream in the night for effective working of the products. Applying vit c in daytime ensures detox and antioxidant protection aganist pollution and other environmental damages. Hi Keerthana. The concentration of Vit C depends on your skin needs and capacity to take higher concentrations. Use higher concentration if you have deeper scarring, pigmentation and age related issues. For minor dullness, blemishes and pigmentation use the lower concentration. Hi Keerthana. Personally I have used vit C serum from only two brands, Kaya Skin Clinic and Auriga and experienced great results. But Dr. Reddy’s strea C capsules are also good. So my personal trust and preference lies with only these three brands. Hi Keerthana. If you are having desired results with Hyalugel, why switch? You heard it right HA concentration is more in hyalugel than A derma. Also, A derma is a bit heavy cream and can make oily skin look greasy. Hi mam. I’m 37 aand haven’t used any antiageing creams till now. I’m of medium complexion and my face skin doesn’t look healthy. I have under eye dark circles and uneven skin tone. None of the creams suit my face It looks oily greasy dark and dull after sometimes. If I don’t use any cream it looks dry and if a apply any cream it looks oily. Please suggest good anti ageing and skin brightening cream. Hi Rajani. You can use Avarta under eye cream for your dark circles. Ega by Curatio pharna is a good anti aging cream to be used in the night. You can also use Kaya Pigmentation Reducing Complex daily in the night before your regular night cream. Use Auriga Flavo C for skin brightening in the day time. Since your skin is oily, avoid heavy creams and stick to light lotion or serums instead. Also, always use a gel sunscreen in daytime. Thanks for ur valuable advice. I will definitely follow it. Can u also please suggest mam which gel sunscreen would be better for my skin. You can use Suncote gel or Lotus Herbals also has some really good gel based and matte sunscreens for oily skin. Hi Mona. It seems either you have abused your skin too much in the past or you have hyper sensitive skin. You need to be very careful about what you put in your mouth and on your skin. Go all natural to give your skin some time to breathe and heal. Detox your body and skin with green tea, cucumbers, and vit C. Drink a glass of lemon + honey water daily on empty stomach, take three cups of green tea daily along with lots of water and orange juice. Use natural Green tea or cucumber based cleanser. Biobloom green tea cleanser is a good choice. You can also use Soothing cleansing gel from Kaya Skin Clinic. Use Aurigo Flavo C serum before applying sunscreen in the day time. Use plain aloe vera gel on pigmented areas or entire face. Acnemoist moisturizer or Neutrogena oil free moisturizer would be a good pick. Avene Triacneal being a gentler version of retin A is a good option but I wouldn’t suggest you any chemical based product until your skin heals completely. Use Saundarya night cream from Forest Essentials or Kama Ayurveda brightening night cream. Once your skin heals you can start with Avene Tricneal and Kaya pigmentation reduction complex for your night care routine. Good luck and Happy New Year. U suggested me to use Kaya Pigmentation Reducing gel and ega night cream. So can I use both at night one after the other along with under eye cream avarta. Also my hands look a bit dark and dull compared to other parts of the body so please suggest a good whitening hand cream or gel. Yes you can use them all together. Use ega first and then wait for five minutes before you apply other creams. For your hands, you can safely use an AHA based exfoliater at night. Can u please suggest me which aha based exfoliater is best for my hands. As suggested by u mam I’m using ega and kaya Pigmentation cream at night and morning kaya flavo serum. After using all this my skin is looking better and lighter than before but the only thing is skin is peeling specially in the morning. Is it ok. Also which cream can I use during the day. Hi. Perfect informative article. U really have an exact knowledge. I want ur opinion. One of my Dr. Suggested me Dr reddy avarta anti ageing cream & another Dr prescribed me Egga Cream. I m 30 and started seein few lines on my face. Plz suggest me . And can I use Vitamin c serum before applying any of this cream ? Thanks. Awaiting for ur reply. Thanks for the positive words Prachi. They brightened my morning. Well, Ega is a retinol based cream and Avarta is an antioxidant and ceramides based anti aging cream. If your skin responds to retinol, there’s nothing like it. But you need to be patient to let your skin adjust to retinol. Personally, I have experienced wonderful results with Ega cream so my trust lies with Ega. I would suggest you to use Ega cream if your skin adjusts well to it. As for Vitamin C serum, it’s better to use is it in day time under your regular moisturizer or sunscreen. Good luck. Hi Rajani. For your hands you can use AHA based cream: Glyco A 6%. Once your skin adjusts to it, you can progress to 12% concentration. But make sure to use the cream only in the night and during the day slather your hands with good brand spf 50. Skin peeling is natural when you are using acids. Use rich moisturizer to prevent excessive dryness and flakiness. Emolene or Cetaphil are good choices. Hi Dear. Ega cream takes time to work. Please follow the same regime and have patience. I am 30. I have fair skin n hyper pigmentation on my forehead cheeks,nose, i try all home remedies but not effective.plz suggest me sum effective solution. Hi Sheena. You can try using AHA glow face wash in the night followed by Kaya Pigmentation reducing complex. Also use vit C serum in the day time under sunscreen and never forget to leave the house without wearing spf. can we use auriga flavo c serum and ega cream together.but will retinol and vitamin c deactivate each other?.I would like to include vitamin c serum and also estee lauder anr in my regimen,Is anr serum good.Can i use it in the morning and vit c at night.I am afraid , vit c will make my skin photo sensitive and may cause darkening.Also would like to hear your thoughts about cipla vc15 and vcx serum?Can you do a review of them.are they good or better than auriga..
Hi Radhika. Thanks for writing in to us. Ega cream contains retinol and vitamin K. There is no research that says retinol and vitamin C deactivate each other. In fact both work wonderfully together to give you smooth, radiant skin. Also Vitamin C being an amazing antioxidant, when used under spf in daytime offers great free radical protection. Dermatologists the world over recommend you use the Vitamin C serum in the morning, which is when it’s most effective. A vitamin C serum will counteract any harmful effect of the sun and also decrease the chances of skin cancer by thickening the dermis layer.Photo sensitivity isssue only arise if you go out for long hours in the sun without spf. So I would suggest you use Vit C in daytime and retinol in the night. As for Vit C from Cipla, I haven’t used it so cannot comment about its performance. Hope I cleared your doubts. Hi Anupama. I am sorry to say but products would not be of much help to your concern. You should consult a Dermatologist for in office procedures for your specific concern. The above mentioned products can only assist you with the treatment recommended by your dermatologist but cannot treat the concern alone. All the best! Hi Radhika. Flavo c serum comes with an orange tint. That’s the only drawback with the product, since you can’t make out if the product is oxidised or not. Manufacturer’s cleverness! Also, the manufacturer says to use the product within 3 months of opening the bottle, but I would suggest you use it within 2 months to be on the safer side. Given it’s a 15 ml bottle, consuming it within 2 months, shouldn’t be much of a struggle. Good luck! Hi Radhika. I am glad you are having good results with Vit C serum. As for Olay total effects making your skin dark, well it could be just your fancy as it cannot darken your skin. But yes, rich moisturizers sometimes do have a tendency to make skin appear darker. So don’t worry about that. But once you finish it off, I would suggest you to use Ega cream or Kaya skin clinic nourishing night cream. Anshulika I’m following ur advice related to antiageing products and I’m finding good results. my other concern is lips which is a bit darker. Is their any lightening lip balm u would suggest. Hi Vandan. For reducing puffiness and brightening the under area, L’Oreal Paris white perfect eye brightener with micro vibration is a good option to try. You can read its review here. Continue to use Ega cream at night. You can add Vit C serum to your day time regime. For fresh youthful skin, drink lots of water and a glass of orange and carrot juice daily. Good luck. Hi Vandan. I haven’t used Dr. Reddy’s strea c, so cnt comment. Auriga Flavo C and Kaya Antox Vit C both are good Vit c serums in Indian mkt. Since you have sensitive skin exfoliation once a week should be sufficient for you. There are two types of exfoliation: physical and chemical. Rather than harsh abrasives which might tear or damage sensitive skin, chemical exfoliation would be better choice for you. Use a mild lactic acid or AHA based exfoliater once a week for bright smooth skin. Mam, I am 31 n have very dry skin, also dark circles and crows feet. There’s also no glow on my skin n my complexion has also darkened. I have searched online for these creams, pls advise which would suit the best on my skin. Also please suggest any day cream. Hi Khushi. Use fair Eye under eye cream for dark circles n crows feet. Ega cream for whole face in the night. Auriga Flavo C serum in day time. For day cream you may use L’Oreal Paris white perfect day cream. Also good SPF before going out in the sun is a must. Hi I am 26, i suddenly see change in my skin texture. It is no longer as radiant as it use to be. Also, i feel i have developer fine lines and ipen pores. Please suggest a face cream. Hi Tushita. Use Ega cream in the night and AHA glow face wash in the morning for bright glowing skin. Hi Prachi. Thanks for your kind words. I would suggest you to continue to use Ega cream in the night and for the day time use Lotus matte gel sunscreen spf 50 to protect your skin from UV damage. For enlarged pores, use BHA based face wash KLM KLIN BHA or Saslic D.S. following up with a natural alcohol free toner containing witch hazel, cucumber and green tea extract. You can also read my post on home remedies for enlarged pores: http://road2beauty.com/2014/08/how-to-treat-large-open-pores-on-face/. Hope this helps. All the best! Hi Arooh. You can use a good eye cream such as Avarta under eye cream for any fine lines around your eye area. Also i am quite prone to white heads..if you could tell me a daily care regime…Thank you!! Use an AHA or BHA based face wash in the night. And always use a good alcohol free toner before applying your moisturizer or sunscreen. Hi Dolly, First of all, congrats for your coming Wedding! Wish you have a wonderful married life. You can check out my Feminine beauty series for detailed information on beauty and attraction. As for your queries; For Dark spots and pigmentation: Use Demelan cream in the evening after washing your face. Rinse off after a couple of hours with plain water. Apply Kaya Brightening Serum all over your face and neck. Wait for 10 minutes and then apply Ega cream in the night for fine lines and wrinkles. Also use a good quality high spf such as Lotus Herbals multi function sunblock spf 70 in the day time without fail. Enhance your diet with proper nutrients and antioxidants for overall skin brightening. Exfoliate your body every week. Here’s a good recipe: http://road2beauty.com/2014/08/homemade-sugar-and-oil-scrub-for-wonderfully-silky-skin/. Use gentle soap or body wash such as Dove. Palmolive coconut body wash is also a good option. Always use a brightening body lotion with lactic acid, urea, and UV filters after bath. Hope this helps. Good luck. Hi Dolly. Thanks for appreciating. Ega and Neutrogena rapid wrinkle remover both contain retinol as active ingredient. If you have already purchased Neutrogena, no need to buy Ega cream. Neutrogena Wrinkle remover anytime is better than Lotus and Kama Ayurveda. Yes, L’O real hydra boosting essence is good one for hydration. As for hair thickening, you can take biotin supplements Tinfal 5 mg daily, include more protein foods in your diet especially eggs and chickpeas. Apply pack of curd, egg, and ground flaxseeds to hair and scalp every week before washing. All the best. Thanks dolly. Stay in touch. God bless for your new life. In the meanwhile; show some love by liking our FB page and subscribing with us. To have more exciting news in future. Very informative article and it seems you knew what you were talking about. So, I’m going to request you to suggest a cream for my mom who is 51. She uses something from L’oreal but I don’t think she’s put much thought into it and it seems like a waste. So, what would you suggest for really mature skin like that? Also, how are prescription retinol creams meant to be used? Hi Ayushi. Thanks for the appreciation. As per my knowledge, the best age to use retinols for anti-aging is your 30s and early 40s. Post 50, when the skin begins to sag along with wrinkles and fine lines, one needs a cocktail of different anti-aging actives. Hence, for your mom, I would suggest L’Oreal Age Perfect Pro calcium night cream or Uthbless anti aging cream by Liva Pharma. As for prescription retinols, just apply a pea-sized amount all over your face and neck after cleansing before going to bed. If your skin is prone to dryness, you may use a moisturizer or your regular night cream 10 minutes after applying retinol. Don’t forget to use a good spf during daytime! Hey I just gone though all the comments n your suggestions.. It’s good blog indeed. Actually I turned 30 this month I’m looking for anti ageing regime.. Last year I was using retin -A vitamin c and I ve done peeling so after disconnecting peeling my skin turned dark and taned completely and now my skin is sensitive too I’m thinking to apply EGA cream + Rejuglow c20 + kojiglow /kojivit cream at night and morning sunscreen lotion.. Hope I will get rid of tan if I do so.. Can you please help me out with ur experience..
Aww.. it’s so disheartening to know your skin got damaged. But I don’t think your skin got tanned due to disconnecting peeling because I feel something after the peel irritated your skin. Regardless, I would suggest you consult a board-certified dermatologist to discuss best possible treatment options to reduce hyperpigmention and sensitivity. Also be very careful about sun exposure which can worsen the condition. In the meanwhile, use healing products like aloe vera gel, pure vitamin E oil etc. to soothe and calm the sensitive areas. You can also safely take oral antioxidant supplements like ‘My Tan’ to help your skin. All the best and let me know how did it go. Cheers. Thank you for your valuable feedback. Alover gel and vitamin E oil won’t suit my skin even milk turmeric curd lemon it doesn’t suit my skin.. ‘My Tan’ oral antioxidant supplements is to reduces tan ? This one is completely new for me..I never heard of ‘my tan’ I discontinued peeling.. I don’t wanna try it again.. So can u please suggest me antiaging cream for oily skin..
Hi Ambi. It’s sad to learn your skin got damaged. But never mind, with good faith and skincare it should be back to normal. Use demelan cream on pigmented areas in the evening after cleansing your face with some gentle creamy cleanser. Wash off or rinse after two hours and apply Uthbless cream all over your face and neck in the night before going to bed. At 34, you should also be using a good eye cream. Here is a list of good eye creams in India, you can take your pick from any of these. Exfoliate your skin once weekly and follow up with some hydrating face pack. Hope this helps. Please update me with your progress. Thanks a ton , Anshulika. can u also help me with some specific creams as per regime? Options are kind of confusing… For moisturiser n anti oxidant serum can I use kaya pigmentation cream n vit C serum along with my suncreen? Can you also suggest me good moisturisers, both light n heavy to alter depending on seasons, keeping in mind my sensitive skin. I am very much eager to kick start with the regime once product options are specified. Also won’t my regime for now require any anti ageing products like ega ? Can I start with kaya vit C serum, kaya nourishing day cream, kaya sunscreen for sensitive skin. Evening- demela for two hours, rinse at night n apply kaya antioxidant nourishing night cream over face n neck? Is the selection of creams okay to start with? Kindly suggest. Hi Ambi. Yes, you can start with all above mentioned products. All these products are good options to carry you through in most seasons. Also include a good eye cream and AHA based cleanser in your regime for best skincare results. You can start with Faireye Eye cream and AHA glow face wash (to be used only in the night). You can get both these products from any pharmaceutical shop. Great tips. Well I am 56 and would be great chk if h can suggest the anti ageing cream that I should use during day and night to get a firm and wrinkle free skin. Pl suggest good face wash and anti blemish cream as well as I have light blemishes on the cheeks. Thanks in advance.